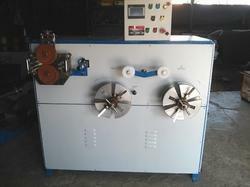 Pioneers in the industry, we offer auto dual coiler machine from India. Auto Dual Coiler Machine¿¿suitable to coil size up to 6 sq mm wire with a line speed of 190 meter per minute with the conical payoff or driven payoff system (OPTIONAL). Looking for Auto Dual Coiler Machine ?